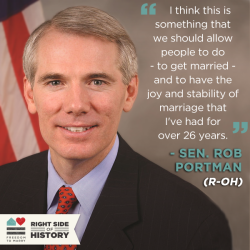 The big news in my area is that Senator Rob Portman (R-OH) has changed his mind and now supports gay marriage. He said he changed because his son came out as gay. Some people I know are jumping for joy over the news but I’m not impressed. Why is it that these conservative types seem to only change their mind when it actually affects their family? Why can’t they do what’s right because it is right and not for selfish reasons. 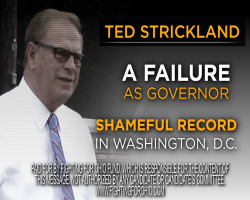 This entry was posted in Life, Politics, Progressive, Religion and tagged cheap labor conservative, civil rights, gay marriage, LGBT rights, religious conservative, Senator Rob Portman on March 15, 2013 by Doug.